The bright colors of Autumn set the tone for the season - right? The shades of red, yellow, and orange that uses to be green... then slowly all fading to a murky brown. It can be depressing, or it can be beautiful if we allow it to be. For some crazy reason, this autumn is still green up here near the great lakes. We usually boast all the fiery colors this time of year, but the green remains. And I am not really complaining because with the green are warmer temps. I mean there have been years where we were already piling on the scarves and parkas, so this is nice. But since it is October, I'm ready to look outside and see the rainbow of the dying the year. 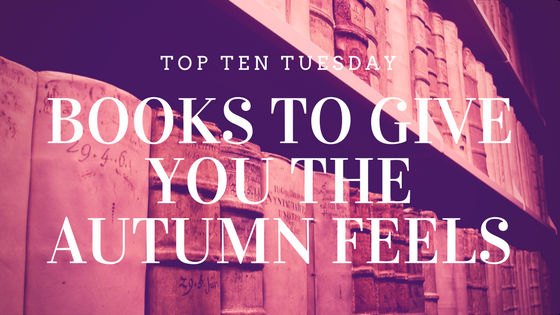 Which is why it is perfect timing to do a top ten of books to get you in the mood for autumn no matter what the weather is like where you are! Compulsion by Martina Boone - This contemporary/paranormal mix is set in the deep South of the US - and the scenery screams of crisp fall days for many chapters... and throw in some voodoo like spirits and you are sure to start to feel the chill of a fall read. 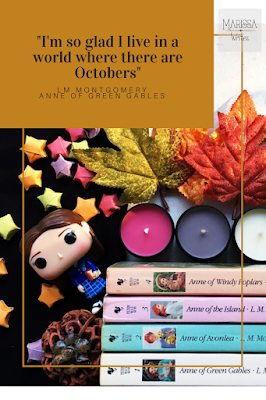 Anne of Green Gables by LM Montgomery - So this book, and series, follow Anne year after year, but there are plenty of memorable scenes that happen in Autumn... why else would Anne's quote "I'm so glad I live in a world where there are Octobers." be so popular?? The Raven Boys by Maggie Stiefvator - The opening few scenes with Blue just scream Autumn and Halloween vibes to me... if you haven't read it, I won't spoil it... but just know that while this isn't actually a scary Halloween read, it is a bit on the creepy side... and worth picking up this Autumn. Beauty and the Clockwork Beast by Nancy Campbell Allen - I could gush over this book for a very long time... this book scream October... between the dark and sinister feel of the manor, the clockwork era clothing, and then add in werewolves, ghosts, and vampires... well seriously you will be ready for the haunted houses after this one. Wuthering Heights by Emily Bronte - Seriously, the moaning winds of the moor alone make this an automatic must read for when you want to feel the winds of Autumn... the whole gothic era isn't complete without this story... truly a must read, and autumn is perfect time! The Night Circus by Erin Morganstern - I'm not sure why I feel like this belongs in my Autumn feels list... maybe because f the night scenes... all the talk of chill in the air... the whole idea of the circus... but it fits, trust me. Autumn is when you want to pick this one up, and feel the magic of the Night Circus. The Screwtape Letters by CS Lewis - This glimpse into the fictional letters of a servant of the devil as he trains new demons is more than creepy on a level that will leave you asking questions for sure... if not it will at least make your skin crawl a bit... especially if you pick up an edition with Screwtape Proposes a Toast in it. Alright, so only half of these were for Autumn as the season, and the rest were because Halloween seems to define a bit too much of Fall in our holiday driven world... but that's alright... there are great books for both! Which of these have you read??? Which books would you add to my list? Seriously join in the conversation!!! I just finished the Night Circus and it gave me all the fall-y feels! I loved it. I will definitely be adding some of these to my list too! These look like some great reads. I'll have to add a few to my library list. My library list is so long already lol. Gone Girl is one of my all time favorites! Such an intriguing read. You've mentioned two classics here that have reminded me I need to read them! 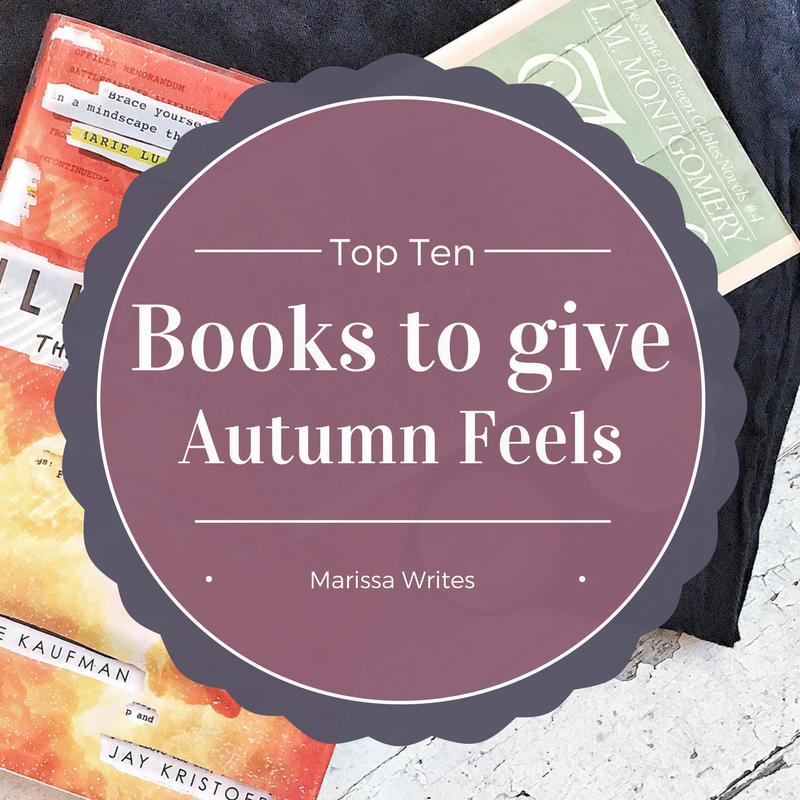 Wuthering Heights and most especially Anne of Green Gables which seems like my kind of book. lol. 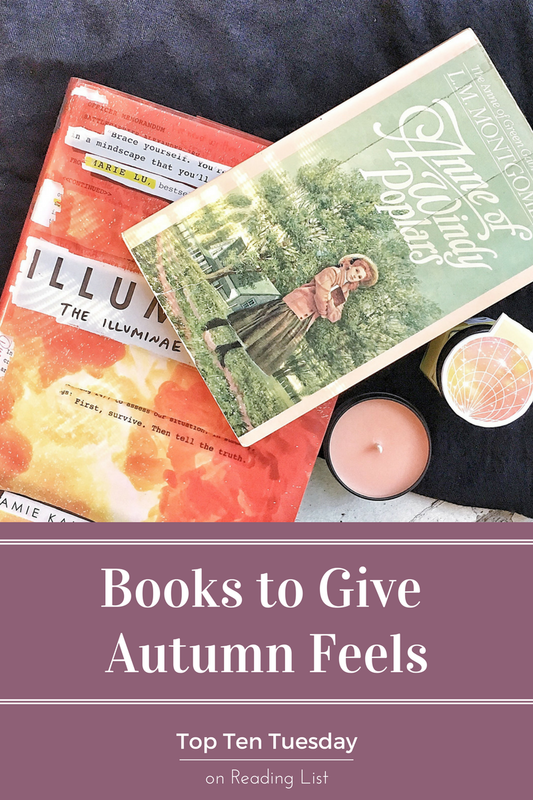 Great idea to find books with an "autumnal feel". Great choices! Our autumn is surprisingly green so far too. I keep waiting for the colors! 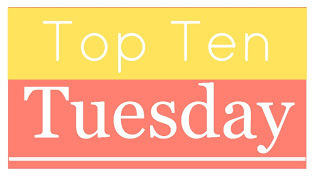 Thank you for sharing this at Booknificent Thursday on Mommynificent.com! I appreciate it!